Less than a month before he was to say ‘I do’ to Nikki Bella, John Cena reportedly decided he didn’t want to get married or have kids! Now, a ‘heartbroken’ Nikki wishes he never proposed in the first place! That seems a bit harsh, but John made it clear for years that he had no desire to have kids. “I’ve told you I don’t want to get married and I don’t want to have kids, and you do want to get married and you do want to have kids,” John said during a 2014 episode of Total Divas, per PEOPLE. “I feel like there’s a time bomb over my head.” Ultimately, he would propose to Nikki, getting down on one knee in the middle of the ring at WrestleMania 33. The couple was reportedly planning to head to Mexico, where Nikki (real name Stephanie Nicole Garcia-Colace) was going to celebrate her Mexican heritage. “It wasn’t going to be some showy Hollywood, over-the-top glitzy thing,” the insider added. 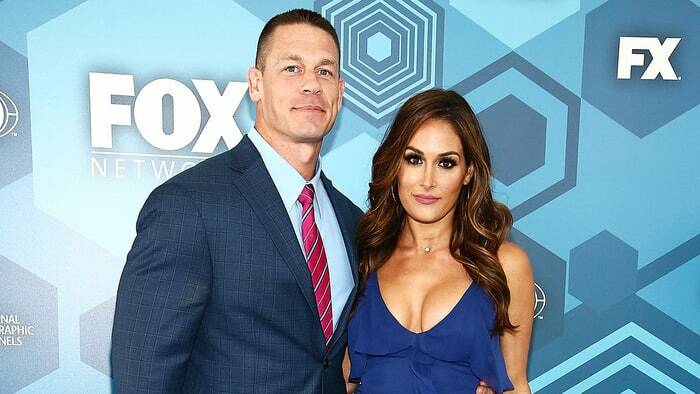 John Cena Raves Over Nikki Bella’s �..